Places to see in Lava: Lava is a gateway to the Neora Valley National Park, an unexplored Himalayan terrain. You can visit the Bhutanese monasteries of Lava in a day outing. There is also the Neora Valley Interpretation Center at the place and a clock tower also admires the main town square of Lava. Two fascinating sunrise points nearby the Changey Falls, called Tiffin Dara and Ghanti Dara are also popular destinations in Lava. Nearby attractions around Lava: You can make your tour experience of Lava more enduring by making some exciting trips to nearby tourist spots. Rishap, located at a distance of 8 km. from Lava, is emerging as a popular tourist destination, attracting travelers to savor its scenic natural landscape. You can also make a trip to Chhangey Falls, situated 12 km. from Lava. Lolegaon is another major location of tourist interest, located 25 km. from Lava. 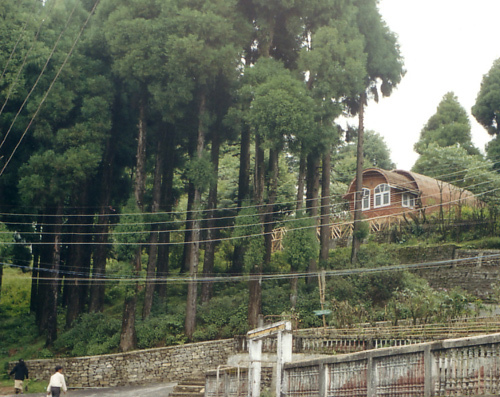 You can also visit Kalimpong, which is 32 km. from Lava. 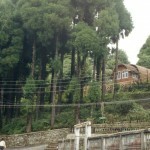 The famous hill station of Darjeeling is also located at a close distance from Lava. Things to do in Lava: You can enjoy a nature walk around the forest and along the picturesque landscape of Lava. Moreover, Lava is a perfect destination for hiking and trekking. You can trek 12 km. from Lava to Jelepla and Rachela Pass, located at the junction of Sikkim, Bhutan and Bengal. The location also offers a visual treat to the avid bird watchers. How to reach Lava: Lava is accessible by roadway from Siliguri via Gorubathan or via Kalimpong. You will get a number of buses including North Bengal State Transport Corporation Buses, Private buses, Bhutan Government buses and taxis from Siliguri, running to Lava. The nearest railheads of Lava are located at New Jalpaiguri. So after arriving at New Jalpaiguri station, you can drive along the roadway to reach Lava. The Bagdogra airport is the nearest airport of the destination, located at a distance of 13 km. from Siliguri. The airport is well connected with all major states of India. Best time to visit Lava: You can visit Lava any time of the year but it is better to avoid during the monsoon. 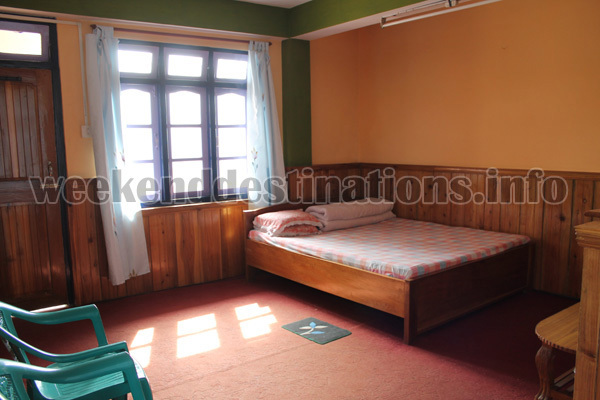 Guesthouse in Lava: Just four rooms in a cosy-homely guesthouse with great views of the valleys and pine forests. This guesthouse is looked after by an elderly couple and the guests can enjoy a fabulous terrace view and nice cosy rooms at great prices. The guesthouse does not have a dining hall but food is arranged for the guests in an adjacent restaurant. As the guesthouse is on a slope, so the approach is from the first floor. There are two Double Bedrooms in the first floor, one of them with a balcony and two Double Bedrooms of the second floor with a terrace. 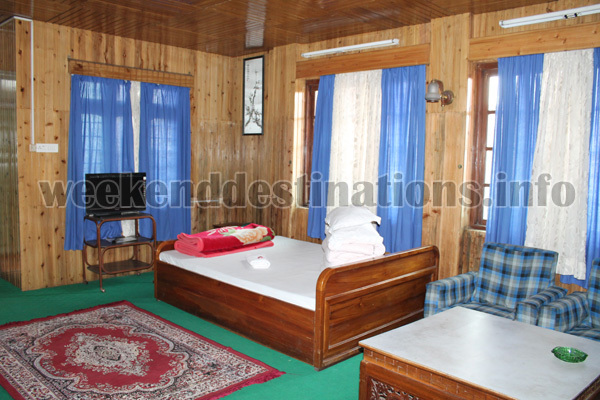 All rooms come with attached Western bathrooms, hot water geysers, in-room wood panelling, wall-to-wall-carpets, cosy – clean beds, televisions and all basic modern facilities. 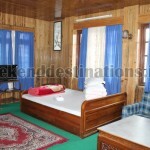 Resort in Lava: A resort with rooms and cottages in every budget and category. 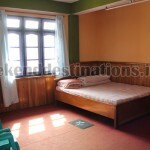 You would get simple and standard Double Bedrooms, Four-bedded rooms, Double Bed cottages and even rooftop rooms. All rooms come with facilities like attached Western bathrooms, hot water geysers, in-room wood panelling, wall-to-wall-carpets, cosy – clean beds, intercom, televisions and all basic modern facilities. The resort also has three cottages with surrounding sit-out areas and gardens. The resort has a reception, dining hall and a terrace.